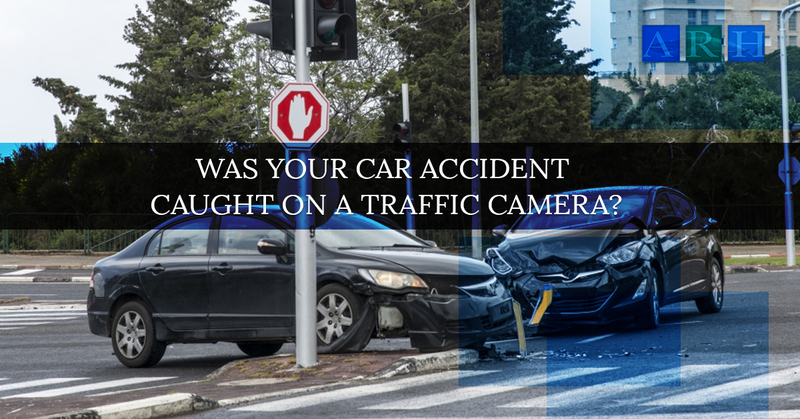 Was Your Car Accident Caught on A Traffic Camera? While at one time or another, it may have seemed like something that you would only see in Sci-Fi movies set in the future, these days, there seem to be cameras everywhere you turn. Between businesses, car cameras, and more, it is likely that you make an appearance on a security camera at least once a day. One of the ways you are caught on camera on a daily basis is through traffic cams that are placed at the majority of major intersections as you drive to work or as you run errands on the weekend. While you may not notice how much you are being recorded on a daily basis, when you are involved in a collision, these cameras could become much more important to you. You’ve probably noticed them from time to time. Video cameras capturing you as you are on the highways or stopped at a red light. These cameras exist and are placed intentionally to provide surveillance for a number of different people from law enforcement to those who are interested in monitoring traffic patterns and congestion. It is important to understand that these cameras do not exist so that the footage can be provided to the general public. However, in some cases, you may be able to retrieve footage from a camera like this should it provide evidence in the case of a traffic accident. The first thing you have to think about is where you can locate the footage you are looking to find. Depending on where your accident occurred, you may have one chance of obtaining the video. On the other hand, you may have several. If you were at a red light, the chances of you getting the footage you need are much different than if you were at a nearby business that houses security cameras in the parking lot. One of the best ways you can determine what cameras caught the incident is to use Google StreetView in order to see the many different possibilities. Plain and simple, getting footage from a red light camera or a traffic camera in general is going to be pretty tricky, especially if you do not have the help of an attorney. While it cannot cause any harm should you wish the ask for a copy of the video, the likelihood of your request being denied is fairly high. This can be traced back to the fact that no entity is required to hand over the footage to a member of the general public, as well as the amount of time and energy that would have to be put in to locate the specific footage you are looking to find. Alternatively, if you have an attorney on your side (which we highly recommend if you are pursuing a personal injury claim), be sure to inform them of this potential evidence from day one. This will give your attorney the chance to issue a subpoena for the footage to be released. Seeing as how much of the data is only saved for a certain period of time, it’s important that you get this information to your lawyer as soon as possible before the evidence is potentially erased forever. If you want to try and gain access to footage that is coming from elsewhere, such as a police officer’s dash cam, the chances of it being an easy process slim to none. The first step you will have to take is to identify which officer was present. This means not only knowing his/her name but also their badge number and designation. You will then have to draft a letter explaining what your intent is and why you feel the footage would be helpful to you and your case. The letter should then be sent to the local police precinct. The next step is simply to wait for a response, which you may or may not receive. Could A Personal Injury Lawyer Assist You? If you have been hurt in a car accident of some kind, it’s important that you seek the help of a personal injury lawyer as soon as possible. We completely understand how people feel about cases like this, and the common belief that they are capable of tackling this problem on their own. However, we would not suggest that you follow this sort of plan of action. Having an experienced and talented personal injury lawyer on your side can mean the difference between you getting everything you are owed from the party that is at fault and getting absolutely nothing at all. If you live in Corpus Christi, Victoria or San Antonio, be sure to seek the legal counsel of the hardworking attorneys at Alex Hernandez Trial Law right now. We would love to help you get your desired outcome and be the support system you need during this trying time!